The first priority of British energy policy should be to enable business and households alike to have access to cheap and reliable sources of energy. This is the key message of the Global Warming Policy Forum’s Energy Manifesto 2017 published today. In the run-up to the general election on 8 June, the GWPF is calling on all parties to adopt policies that prevent further economic harm to the UK economy and halt the rising policy costs to energy bills for households. The GWPF manifesto calls on the next government to undertake a comprehensive review of energy and climate policies to ensure that the UK can prosper as an independent trading nation after leaving the European Union. The cost of Britain’s unilateral renewable energy policies is running out of control, the inevitable result of replacing cheap and reliable energy with expensive, intermittent sources. In 2016, the combined costs of the Levy Control Framework (LCF) and carbon taxes reached over £9 billion. According to official figures, the Climate Change Act will cost the UK economy over £300 billion by 2030, costing each household £875 per annum. 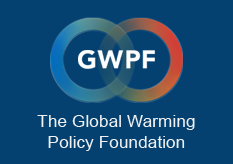 ‘Only through radical reform of current policies can the UK hope to take full advantage of low-cost technologies, tackle the scourge of fuel poverty and improve the competitiveness of the UK economy,’ said Dr Benny Peiser, director for the GWPF. The new government should take immediate steps to prevent further economic harm and rising policy costs while simultaneously undertaking a comprehensive review of energy and climate policies to ensure that the United Kingdom as a whole can prosper as an independent trading nation after leaving the European Union. Undertake a new and up-to-date review of the economics of climate change. Suspend commitment to the Carbon Budgets in line with the House of Lords Economic Affairs Committee’s recommendation. Suspend the Carbon Price Floor, a unilateral carbon tax that puts an unequal and unfair burden on British industry. Suspend commitments post-2020 under the EU Renewables Directive which puts an unequal burden on the UK economy. Phase out subsidies for renewable energy generators of heat and electricity. The renewables industry repeatedly claims that they are now cheaper than conventional energy. Government should take them at their word and cut all support after 2020. Freeze commitments to ethanol and biodiesel under the Renewable Transport Fuel Obligation, which is distorting international food and crop markets. Remove mistaken incentives for the use of diesel in passenger vehicles. Remove all fiscal obstacles to further realisation of the potential of the North Sea reserves of oil and natural gas. Promote hydraulic fracturing to exploit the full potential of the massive UK shale resources. Increase research budgets for nuclear fission and fusion, and also for electricity storage. Redirect the UK’s international climate diplomacy towards equitable, joint approaches instead of the self-harm of unilateral targets and virtue signalling.